Wingspan 17 to 22 mm. It is easily confused with Diasemia reticularis and care should be taken when identifying either species. 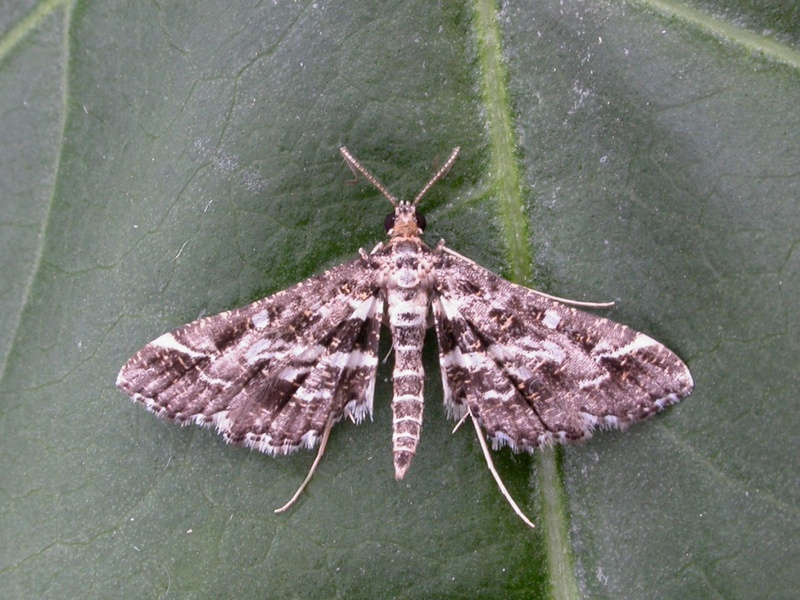 Only known as a migrant species in Britain. 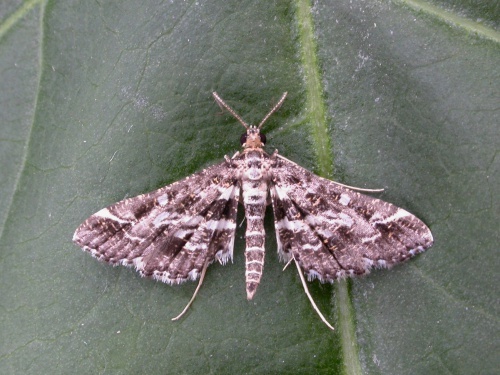 Encountered mainly on the southern coasts between June and October. A scarce migrant species mainly to the south coast. Abroad it occurs in Europe and the tropics, but it is not believed to have bred in the British Isles. In the Butterfly Conservation's Microlepidoptera Report 2011 this species was classified as a migrant. Rare in Leicestershire and Rutland. 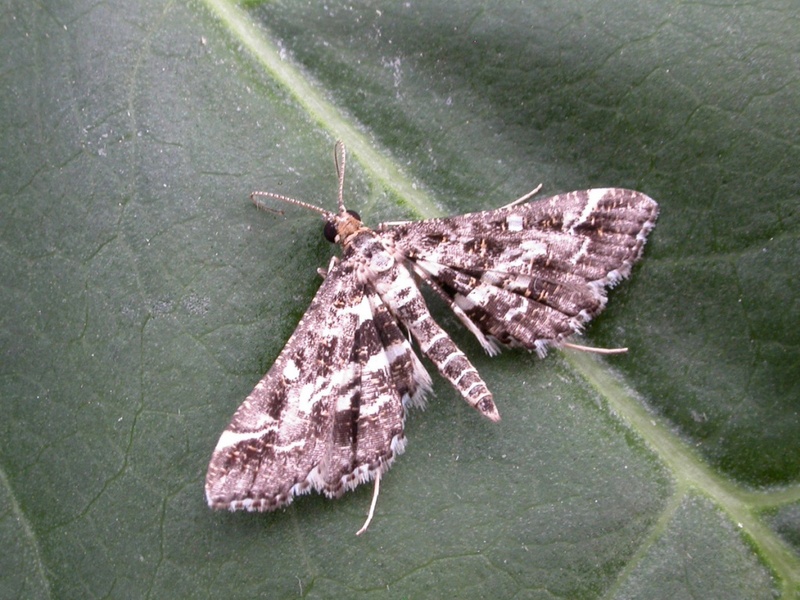 The Shenton Estate specimen of 8th August 2014 is the first record of this species in VC55. L&R Moth Group status = D (rare or rarely recorded).